Spring is so back and forth here in Philly, one day super warm and then the next freezing and rainy. I need to the warm sunny weather to come back so I can try to get a base tan before our trip next month, I'm not trying to blind anyone with how pale I get in the winter! 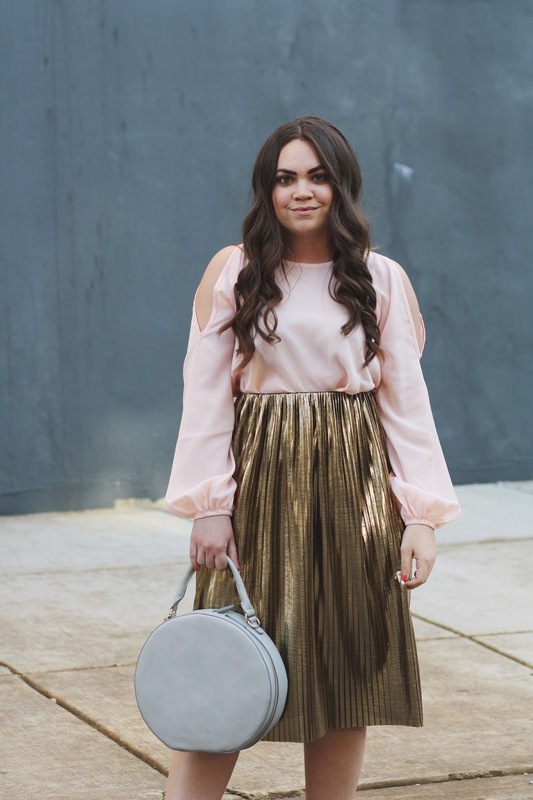 Above a paired a sheer blush peek-a-boo blouse with a gold pleated skirt for a night out for dinner. Hope you all are having a great start to your week! omg you look so cute, I absolutely love this look! Nice pink top, goes well with golden skirt...nice dress for a night out for dinner. Love this outfit, so gorgeous!